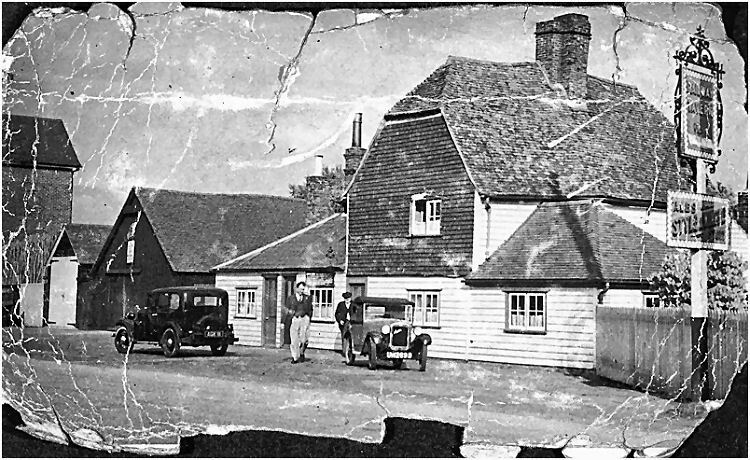 Above photo taken from http://www.staplehurstsociety.org date date unknown. From the Maidstone Telegraph, Rochester and Chatham Gazette, Saturday 25 February 1860. Price 1d. 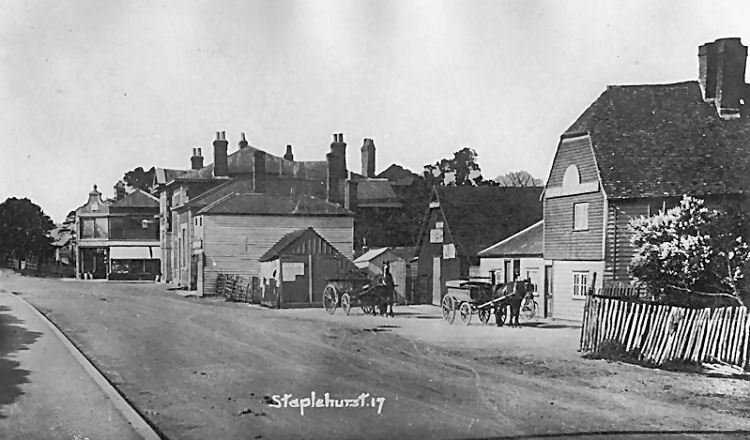 STAPLEHURST. MEETING OF HOP PLANTERS. On Saturday afternoon a meeting of planters and others was held at the “Railway Hotel”, to consider the proposals of the Chancellor of the Exchequer. Among the speakers were Mr. G. Neve, Mr. Hartridge, Mr. Osborne, Mr. Iden Henham, Mr. Simmonds, Sir E. Filmer, M.P., Mr. Punnett, and Mr. G. Turner. Resolutions condemnatory of Mr. Gladstone's proposed alteration of the hop duties was unanimously adopted. From the Kent and Sussex Courier 27 June, 1873. Price 1d. On Friday last, a man called at the shop of Mr. Day, cab proprietor, of Week-street, and stated that he was gardener to Mr. White, farmer, of East Farleigh, and had come to hire a saddle horse for his master. In the absence of her husband, Mrs. Day told the man to call again, which he did on the following morning, Mr, Day then leant him a grey horse worth about £30 and the fellow at once rode off. Mr. Supt. Ovenden received a telegram this morning announcing that the man had disposed of the animal to Mr. T. Miles, of the "Railway Hotel," Staplehurst, and Mr. Day has since obtained possession of the animal. Mr. Day, it seems, met the man in the street on Friday afternoon, and accompanied him to the railway, where he gave him the slip. He has not since been heard of. The building gained a Grade 2 listing on 25 March 1987. 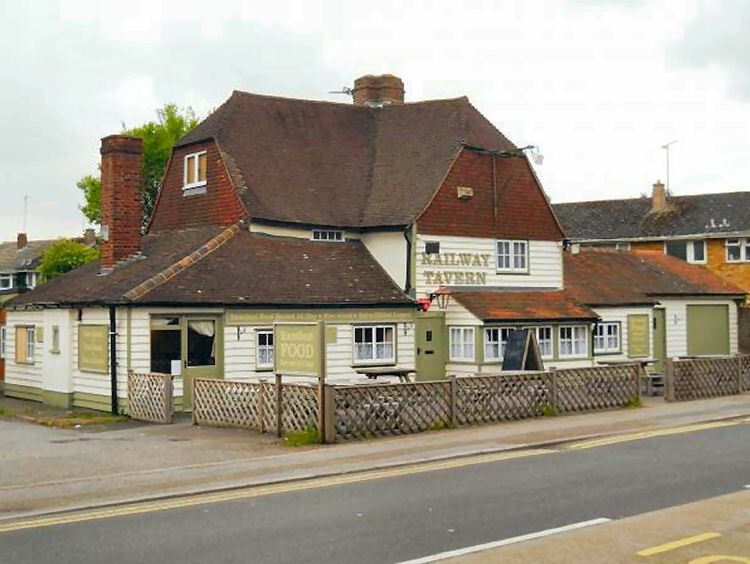 I am informed in April 2018 that the licensee left and the pub was closed and boarded up.